The 2010 European Championship is in the books. Ten days of good and bad Baseball, homeruns, rain delays and small crowds are over. 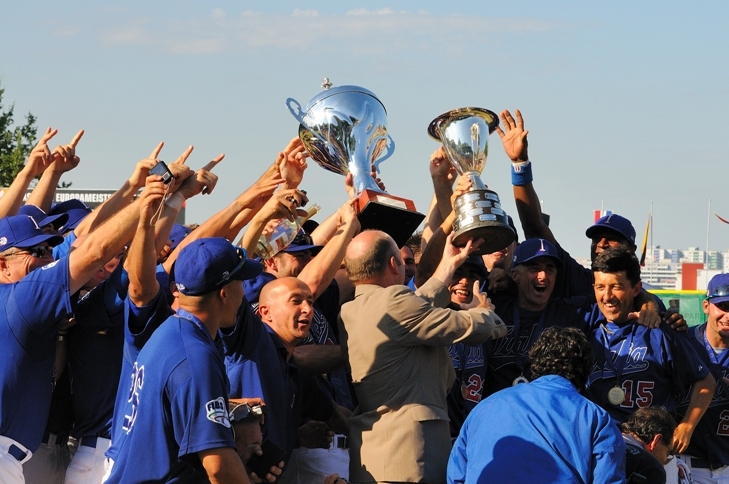 We have a new European Champion with Italy, which after 13 painful years for the Squadra Azzurra ended the reign of the Dutch team at the top of European Baseball. 2012 the Netherlands want the title back at home for their 100th anniversary of the Royal Dutch Baseball and Softball Association. While the tournament might be over, Mister-Baseball will recap the European Championship over the next couple of days with further news and articles, which we hadn’t gotten a chance to put it on the website yet.